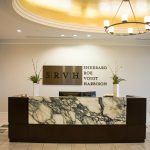 Welcome to the Sherrard Roe Voigt & Harbison blog. I’m excited about this project. I’m going to be blogging about issues at the intersection of litigation and bankruptcy. Things like, okay, now I’ve got my judgment, but is it worth the paper it is written on. 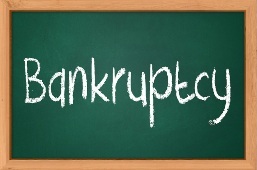 These issues play a huge role even in litigation where the defendant doesn’t file bankruptcy. They are the backdrop of all the settlement negotiations. Shrewd planning by a defendant can make for a less painful settlement. Good tactics by a plaintiff can ensure collection. My first post is about a common scenario in litigation. More and more, the defendant will hold a large portion of his assets in an LLC. If you are the plaintiff, assuming you win the litigation and get a judgment, can you reach the defendant’s assets in the LLC? And, conversely, if you are the defendant, are the assets in the LLC interest available for to the plaintiff? Shrewd planning by a defendant can make for a less painful settlement. Good tactics by a plaintiff can ensure collection. This is an important issue in settlement negotiations where ability-to-pay is an issue (in addition to the merits of the litigation). 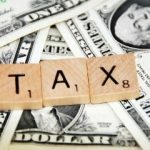 If the LLC assets are available for the plaintiff, the defendant will have to pay more to settle. The reason people often form LLCs is conduct business through the LLC and protect the assets of that business from creditors, so you might think that the answer is clearly that the assets are protected. But this isn’t the case. Under Tennessee’s Revised Limited Liability Company Act, T.C.A. § 48-249-509, the sole and exclusive remedy of a judgment creditor (a plaintiff who has won her lawsuit) is to get a “charging order.” This entitles the plaintiff to get those financial distributions that the LLC management decides to make. The plaintiff has no managerial rights, and she cannot force a dividend. But, if management is going to make a dividend to any of the LLC members, the plaintiff gets the share that would have otherwise gone to the defendant. I have seen at least one court get this wrong and award the judgment creditor more than just a charging order. This is particularly tempting in single-member LLCs, and family-owned LLCs, but there really is no basis for a special rule for these types of LLCs. A common tactic when faced with a charging order is to stop making distributions. This works as far as it goes, but at some point the other LLC members will tire of not receiving any revenue from the LLC. Of course the other members can be compensated through salary, so long as it is reasonable and can be justified by a comparison to market salary. The above explanation holds true as long as the defendant doesn’t file bankruptcy. If the defendant files bankruptcy, the result can be completely different, and the bankruptcy trustee can have far more power than just a charging order. I’ll explain why in my next post.